Halle Berry, in the most R-E-S-P-E-C-T-ful way possible, recently denied that she will play the lead in a film about Aretha Franklin's life. Stop right there with the jokes. Despite what the blogosphere might have you believe, the Oscar winner didn't just snub the role. According to Berry, she won't take the part because she doesn't have the musical talent ("I can't sing! If I could carry a tune, I'd consider it. 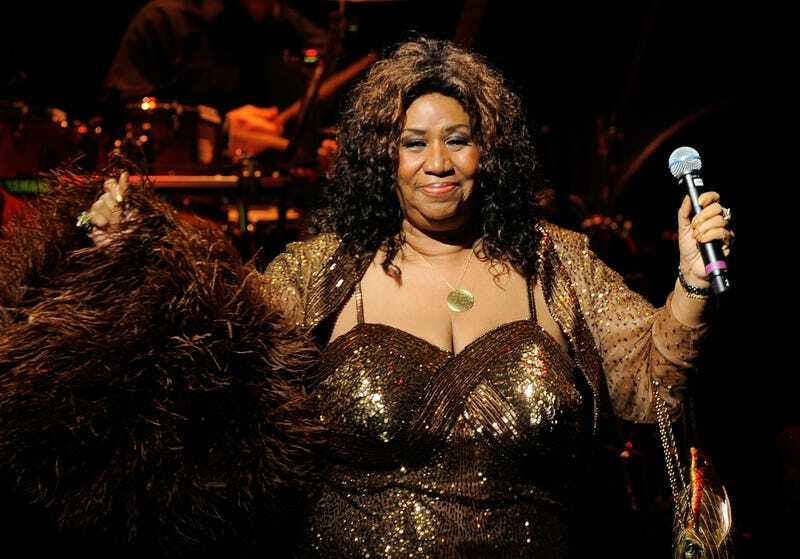 Someone should tell Aretha that I can't do her justice," she told Ryan Seacrest). Conversation over? Not so much. Franklin has now asked Berry to reconsider, writing in a note to the Wendy Williams Show, "Many actors have portrayed vocalists by lip-synching to the artist's original recordings." Fair point. First question: Why is a daytime talk-show host facilitating this conversation? Do these two stars not have "people" who can handle the increasingly awkward negotiations behind closed doors? Second question: What excuse do you think will Berry come up with next? In other news: A Broken Record? U.S. Budget Deficit to Hit $1.5. Trillion.